Imagine going without food, clean water to drink or bathe, and medication to treat a curable ailment. I would find these conditions difficult and unbearable because I have never had to live a life without these bare necessities. As I listened to my fellow Toastmaster, Terry Aberhart, share his visit to Ethiopia, I caught myself thinking “Why as a society are we so selfish when we have so much to be grateful for?” When I asked Terry’s permission to share his story, my intentions were to quote only pieces of his inspirational talk but there was very little I could omit without robbing you of hearing his entire message. Terry, CEO of Aberhart Farms Inc. and Sure Growth Technologies Inc. (an agronomic consulting company), was on a ten-day Food Study tour in Ethiopia. He shared his story. “Our guide tried to explain that cultures that live in poverty suffer from what he described as aspiration failure. 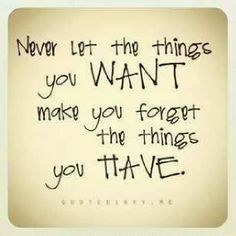 When you have nothing, means to survive or a meal for the day is good enough. The people in this culture cannot aspire to things beyond or above basic survival needs. This concept was hard to fathom coming from our American way of be all you can be, the sky’s the limit. The only thing standing between you and your goals is yourself. In a place where aspirations are driven by models, movie stars, musicians, mansions and money, it’s not a surprise to see how many struggle with depression and anxiety when we use meaningless stuff as a benchmark of fulfilment and success. The dramatic change in this experience was to see people who have so little wealth in the metrics we would measure, you feel challenged. At the same time these people are the richest I have ever seen in happiness, family, friendships and matters of meaning. It was said that when our journey was over, that we will leave Ethiopia, but Ethiopia will never leave us. I think about that experience almost on a daily basis. That experience has effected the biggest change in my life and continues to effect change in me to this day. Coming back home, ironically was the biggest culture shock of this experience. To see how many of us feel that our life is not as good as our Facebook friend who went on a sunny beach holiday during a winter break. When our day is ruined because the hot water heater quit and we had to have a cold shower in the morning. When we open the fridge and feel like there is nothing to eat, while our fridge, freezer and cupboards are full of food. Yet on the other side of the world a day was ruined because a family member was lost as they could not afford proper food or medication. Change is to challenge the boundaries that our society has placed upon us, to reach deep inside for the true meaning of happiness and fulfillment. Listening to Terry’s story made me think about our perspectives. We don’t have to travel to Ethiopia to see poverty. Whether we choose to ignore it or not, poverty exists within our communities and country. The challenge is whether or not we can live without what Terry called “meaningless stuff” so others can have “basic life-sustaining stuff”? Can we boldly sacrifice a small portion of our fortune to benefit others? A change in our perspectives to the things that matter most can make a world of difference and the world a different place. When the market value of your investments is falling, do you feel skittish? Do you question your motives for investing in the markets? 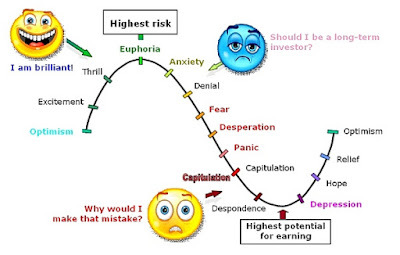 Do you believe you can handle the volatility yet in reality are unable to stomach the turbulences? You want to earn a higher return than the amount paid on GIC investments but at the same time know you can’t afford or are unwilling to take the risk. What are other options? In the previous blog, Investing in the Rise and Fall of the Markets, mutual funds were introduced as an option for participating in the markets. The notion of combining your investment dollars with others to invest jointly and diversify broadly into different asset classes and sectors of the world’s economy certainly has its appeal but nevertheless still comes with potential market risk. If you are still feeling skittish, you may be consoled knowing a layer of protection can be added to guard the value of your capital investment. You must determine if the cost that comes with this protection is worth having in exchange for peace of mind. A segregated fund policy has all the similarities of a mutual fund with an important exception. Because these investment products are offered by insurance companies, they include built-in guarantees to protect either 75% or 100% of the capital in the event of an upheaval in the markets at the time of maturity or death. The two values, both the current market value and guaranteed value, are compared to ensure the higher amount is paid. For example: Let’s assume five years ago you invested $100,000 into a segregated fund policy which offers 75% maturity and 100% death benefit guarantees. Today, the current market value may be $125,000; the maturity value remains at $75,000, and the death benefit is $100,000. 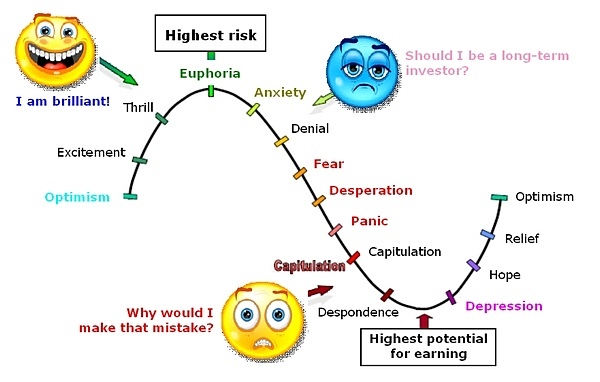 Because of the opportunities in the markets, you are optimistic that your investment will be lucrative but you feel comfortable with the guarantees in case the trend changes. Generally, the guarantee is determined on a 10-year holding period. Some segregated fund policies may allow the option to lock in any market gains. Once you accept the higher value, you reset the market value as well as establish a new guarantee. Segregated funds have been around forever. Perhaps “forever” may appear as a bit of an exaggeration but more than thirty years can seem like an eternity. In other words, segregated funds are not new. Most likely, mutual funds may have stolen the limelight from segregated funds because mutual funds’ management expense ratios (MERs) are lower. The higher MER fee (upwards of 1%) with segregated funds is the cost for the added insurance protection. If this allows you to feel at ease, then the extra cost may be worth it. You honestly do not see the fee since this insurance premium is included with the other management expenses associated with the normal operation of the funds. The total MER costs are subtracted from the rate of return of the investment. If the value of your estate is significant, one consideration may be to bypass the probate process using segregated funds to distribute a portion of its value directly to beneficiaries. If you know that inflation is currently at 2.00%, you may not be satisfied with earning an average interest rate of 1.60% in GICs (Guaranteed Investment Certificates) even though these investments offer principal protection. If you can’t ride the market’s roller coaster and tolerate investment fluctuations, you may desire the guaranteed protection of principal offered by a segregated fund policy. Endorsing one product over another is only an appropriate strategy if it’s appropriate for you. Just because one product is right for one person doesn’t necessarily mean it fits the needs of another. Be informed about the investment options available so you are able to make the best decision for your circumstances. To read more about the difference between segregated fund policies versus mutual funds, you may click here to read Canada Life’s brochure, Intelligent Investing Design Your Future or Advocis® publication, Segregated Funds Come with a Guarantee. Other helpful information on segregated funds can be found at Get Smarter About Money.